Instant Cartridge Clean is a spa chemical used to clean the cartridge filter in your spa or hot tub. The Cartridge Clean works to easily remove dirt, grime, oils, build-up, bacteria and other unwanted materials from the cartridge filter. 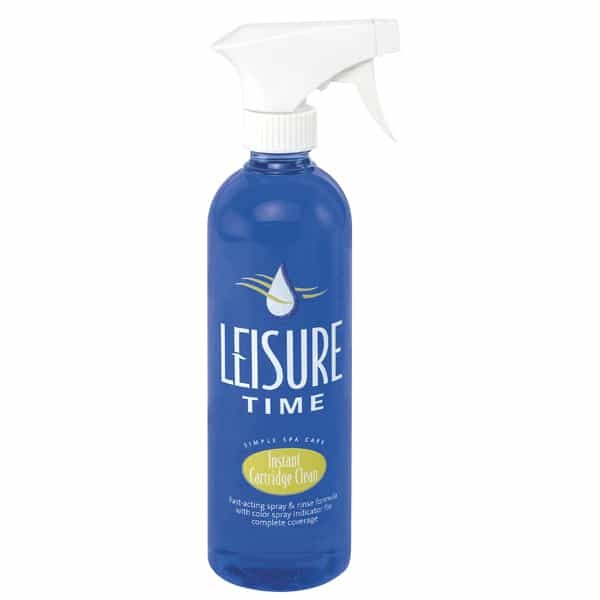 It features an easy to use, fast acting spray and rinse formula that cleans the filter in five minutes. Regular use of the Instant Cartridge Clean improves water clarity and increases filter life of the water in your spa or hot tub.